I almost didn’t get to Chequers (the Prime Ministers country residence) on Saturday for a seminar on “Equality, Fairness and Responsibility in the Post-Crisis Society” convened by the PM and chaired by Ed Miliband. I almost didn’t make it because my taxi driver couldn’t find the place, so I eventually got there just as Gordon Brown was completing his introductory remarks. Present were six cabinet ministers, nearly 20 academics, and two-dozen special advisers, think tankers, interest groupies and others. As the title suggests the government is seeking ideas about how to address issues of equality post-crisis. The discussion was set up by two presentations that outlined the latest research on public attitudes to equality issues and the factual trends in inequality. The discussion was run on a “Chatham House Rule” basis, so it is limited what I can report about the discussion. So I’ll make, in expanded form, the points I tried to insert into the discussion. First, I pointed out that a lot of discussion about equal opportunities took place in something of a vacuum in the sense that it largely ignored the issue of what opportunities actually exist. I pointed to the work of Robert Reich (The Work of Nations, 1991) which although nearly 20 years old now was fairly prescient in analyzing changing patterns of work in the new globalised, new-technology, economy of the 21st century. He pointed to the rise of the role of what he called “symbolic analysts” – what some have called ‘knowledge workers’ – as distinct from in-person services and routine processing jobs. He suggested that the symbolic analysts were growing in size and wealth, although their expansion in numbers terms was probably going to be limited (and they were becoming increasingly mobile). Routine processing jobs – of either materials or information – were increasingly globalised through corporate networks, and exported to developing countries. In-person services cannot be exported, but they can be squeezed in wealth terms and the gap between wealthy symbolic analysts and poor in-person service workers was a major problem for the future. Moreover the symbolic analysts, especially their upper echelons, had been effectively freed from the restraints imposed by large, national, corporations with strong (unionized) routine production workforces and were able to increase their own wealth and thereby increase inequalities. This poses a real challenge for national governments trying to constrain inequalities. The recent book by Kate Pickett and Richard Wilkinson (The Spirit Level) analyzed the effects of high inequality on health and social outcomes – the higher the inequalities the worse the outcomes for everyone, even the rich, than in more egalitarian societies. They also concluded that it was only during and immediately after major crises that governments could significantly alter the distribution of wealth and privilege in societies. My view is that we have just had, and are still to some extent having, such a crisis. The near collapse of the world financial system was just such a crisis. 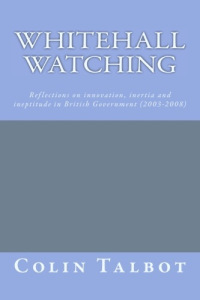 The wide-spread perception is that it was brought about by grotesque and unjustified inequalities in the rewards for financial ‘symbolic analysts’ and the public view was that “something ought to be done about it.” This presented government with a window of opportunity to pursue a more positive equality agenda, if they had the courage to seize it. Finally, I pointed out that if they were going to make a an issue of “fairness and equality” in the social and economic sphere, they ought to link this to the political sphere too and include “fair votes” as a key theme – and bring forward the proposed referendum on electoral reform and hold it at the General Election (which brought widespread chuckles, especially from some senior politicians present). To be fair I wasn’t the only person who made at least some of these points, and there were a great many more detailed ideas about what actions could actually be taken. I’ll probably return to some of them in another post.